The transition from foraging, farming and the neolithic village to the city-state is a complex and fascinating period. Studies on the prehistory of the Near East by nineteenth and twentieth century pioneers in the field transformed archaeology through the creation of the 'Ages System' of Stone, Bronze and Iron. The Near East provides a developmental account of this period contextualised by discussion of the emergence of archaeology as a discipline. The Near East details the causes and effects - enviromental, organizational, demographic and technological - of the world's first village farming cultures some eight thousand years ago. 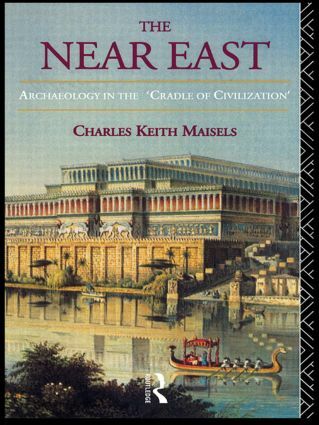 Charles Maisels explains how cities such as Uruk and Ur, Nippur and Kish formed as a result of geological factors and the role of key organizational features of Sumerian society in introducing the world's first script, system of calculation and literature. 'A useful overview of recent research.' - The Times Higher Education supplement.